Those who know a thing or two about Seth Gabel probably know that his name was initially Seth Cosentino until he adopted Gable. They may as well be able to tell that the last name he adopted was inspired by another actor who died way back in 1986 from a heart attack – Martin Gable. But then, it may not be known that Martin Gable was Seth’s great-uncle and, that the actor’s former last name came from his stepfather. If you ask Seth about this, he’d relate that his stepdad helped him settle for the last name which now inspires and encourages him to take whatever risk that is necessary while pursuing his dreams. Press for more details and you will learn that his late actor great-uncle had to temporarily cut all ties with his family to pursue an acting career after his father promised to disown him if he settles for an acting profession which was then widely regarded as a dishonourable career. 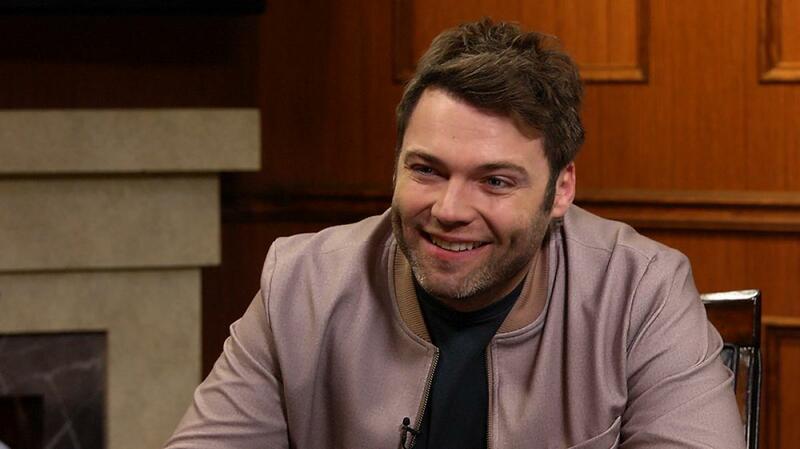 Seth Gabel loves acting and is no longer in the profession because he has to earn a living. His passion for the path he decided to walk on career-wise has been aflame because of the experiences thereof. Particularly, that of being able to become someone else and walk in their shoes. The actor would agree that this possibility has kept him glued to acting as it offers him the chance to discover more of who he truly is. As an actor, Seth attained global fame with his Lincoln Lee role in Fox’s science fiction television series – Fringe. From first appearing as a guest star in the 2nd and 3rd seasons of the series, Seth became a regular cast of the series in the 4th season. Owing to his phenomenal performance in Fringe and the massive viewer’s admiration he earned for himself, the man got to play Cotton Mather in the supernatural horror series, Salem (2014), Jeffrey Dahmer in American Horror Story: Hotel and Michele Besso in National Geographic’s Genius. While those are the works the actor is most know for, he has played other major roles in a handful of films and more in television. The American actor marks his birth anniversary every 3rd of October. He was born on that day in 1981 to a Jewish family and his place of birth was in Hollywood, Florida which was equally where he was brought up. While we haven’t been able to uncover the circumstances surrounding Seth being raised under his stepdad’s surname, we were able to trace how he got hooked up with acting. It all started when he was 11 and his friend invited him to an acting camp. At first, the only thing that caught his attention was a vending machine at the camp – there were candies and he was able to help himself with the confection. Because of this, he kept returning to the camp. Eventually, the lad got to star in a handful of plays and ultimately fell in love with acting which motivated him to study acting at the New York University’s Tisch School of the Arts. Meanwhile, Seth is also a graduate of the University School of Nova Southeastern University in Florida. He graduated from the school in 1999. It has been all about Bryce Dallas for Seth. To the best of our knowledge, everything about his romantic affairs revolves around her. He met her while he was at Tisch School of the Arts. They became friends and later evolved into lovers. It is said that they were together for about half a decade before they eventually became life partners on the 17th of June 2006. Seth Gabel’s wife is famous for several reasons. Beyond being an actress, she is a producer, director, writer and a model. Many have associated her achievements in the entertainment industry to the fact that her father is Ron Howard, a popular actor who has metamorphosed into a popular filmmaker. The Bryce and Seth union has so far been blessed with two kids. They welcomed their first child, a son they named Theodore Norman Howard Gabel on the 16th of February 2007. Their second, a daughter was born on the 19th day of January 2012. Her name is Beatrice Jean Howard Gabel. Seth once disclosed that the fact of him and his wife being involved in the acting business has influenced their family life. While they have adopted a nomadic lifestyle in order to flow with the place-to-place movement of their acting careers, they as well strive a much as possible to keep things stable for Theo and Jean. 2. Fringe also earned him a nomination for a Saturn Award under the Best Guest Starring Role on Television category. 8. He started acting before he became a teenager.